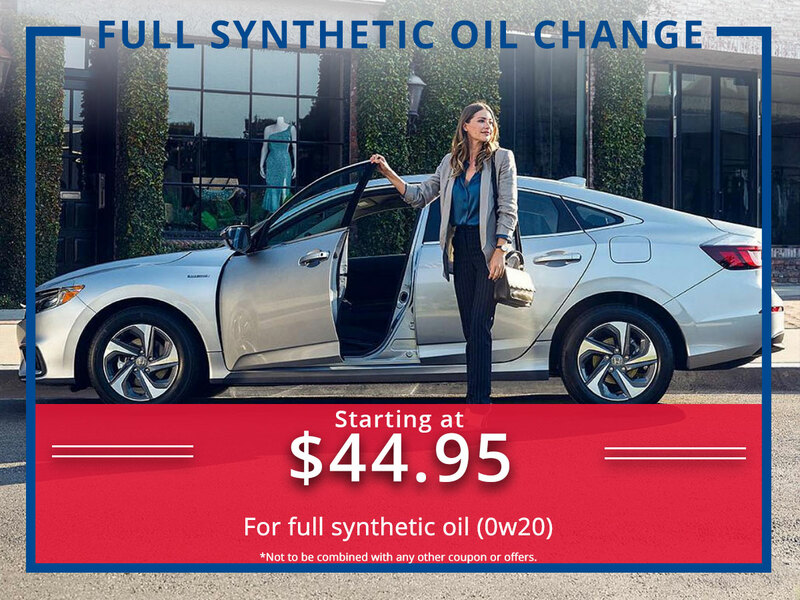 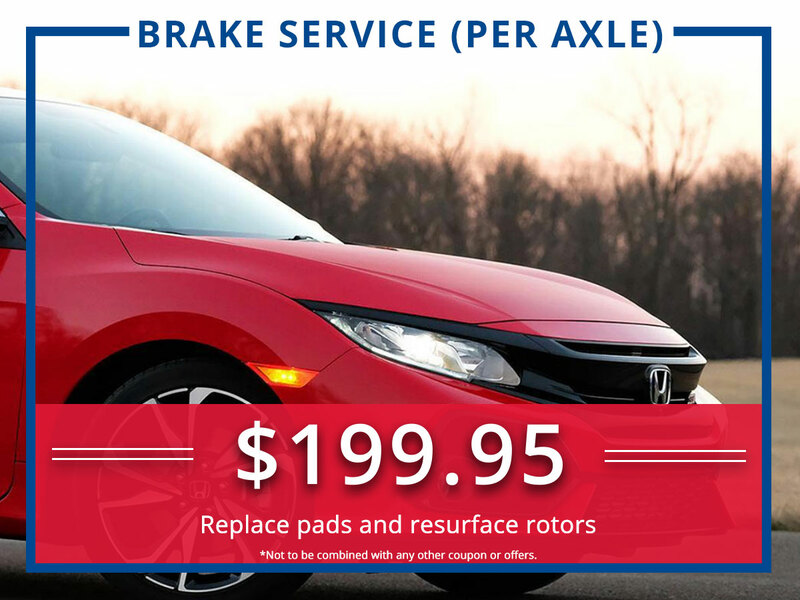 New or used your Honda will need routine maintenance. 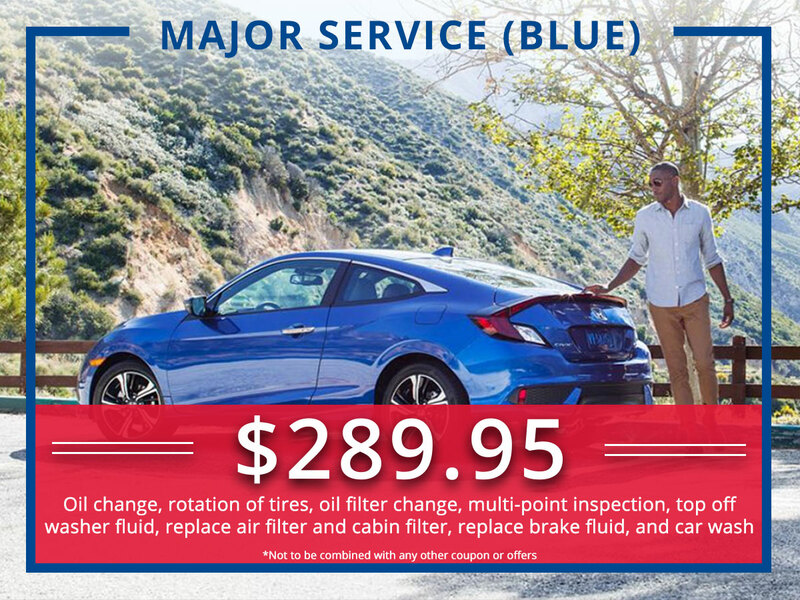 Services like oil changes, filter replacement, tire rotation, and new brake pads. 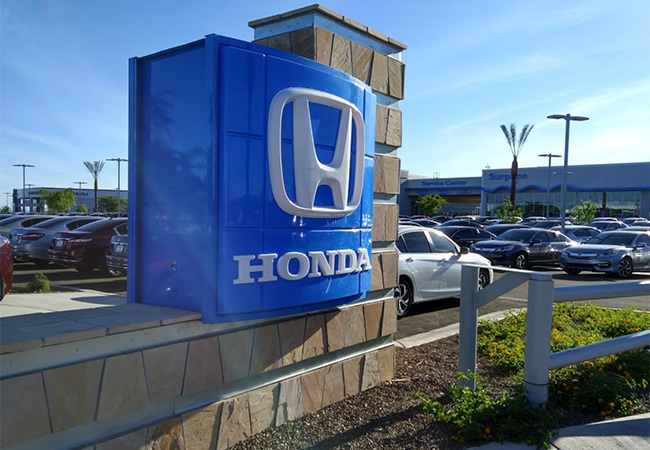 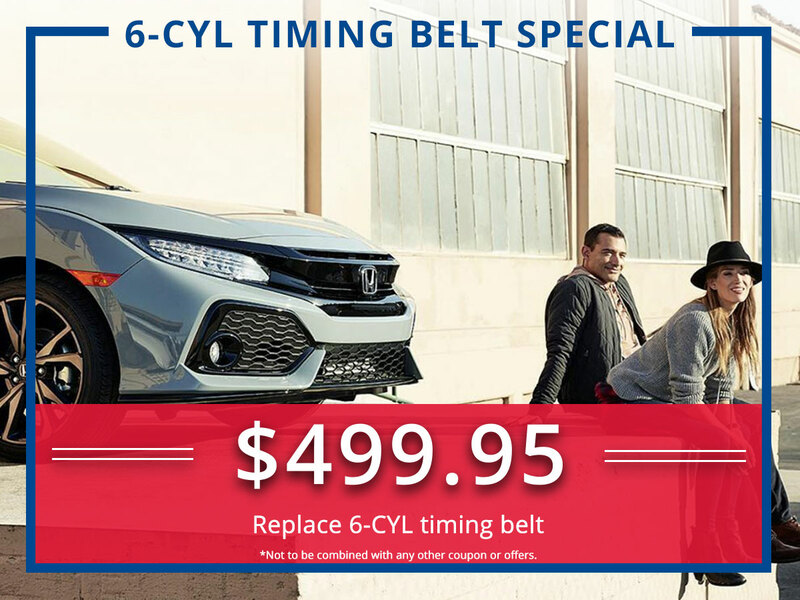 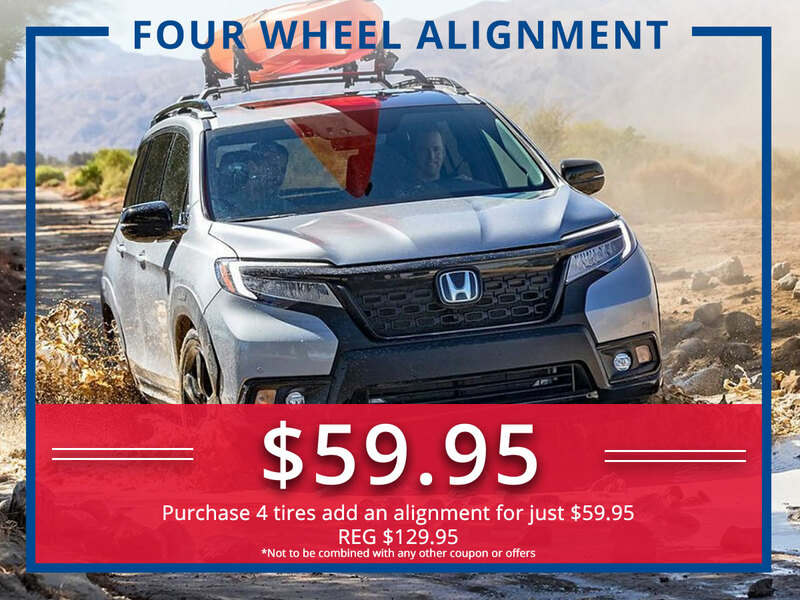 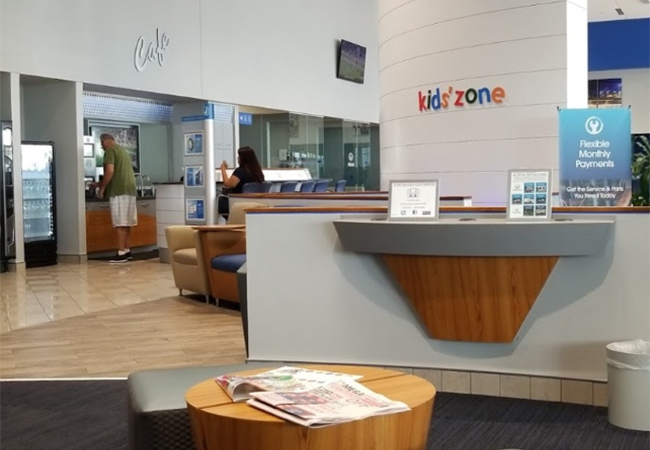 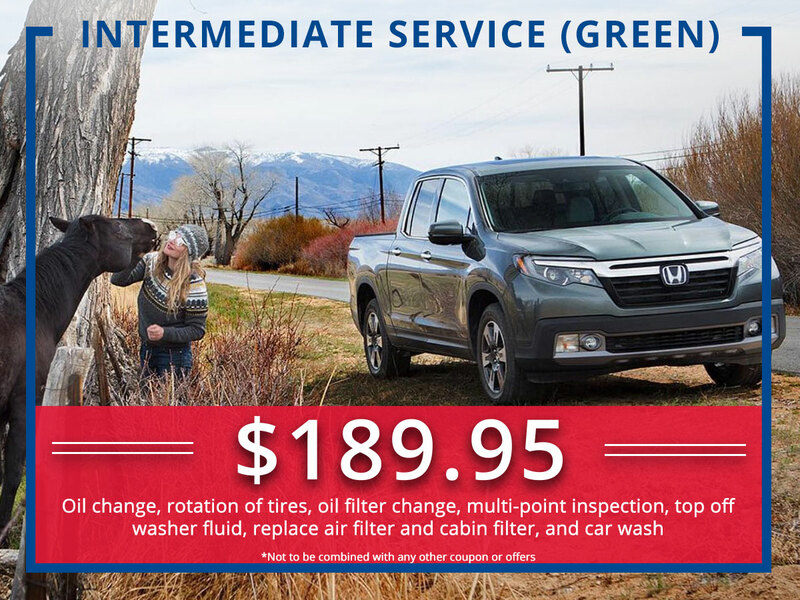 These check-ups and service stops can add up in cost pretty quickly, but not here at Surprise Honda! 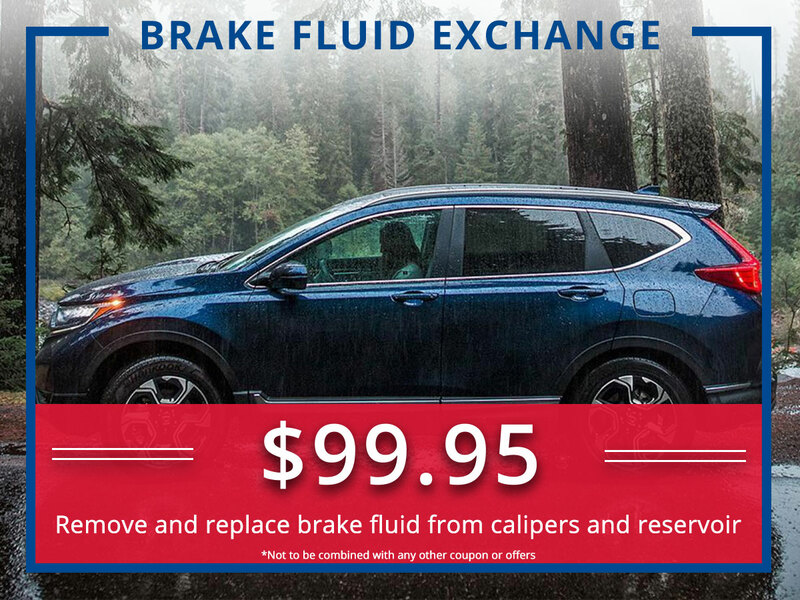 Our dealership offers an exclusive selection of rotating parts and service coupons and special. 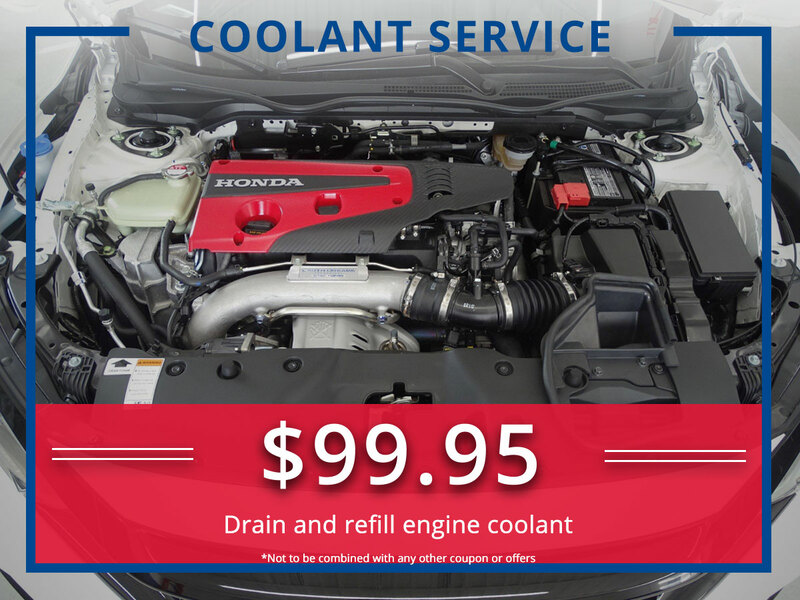 If you live in the great Phoenix metro, you won’t have to worry about costly routine auto maintenance anymore. 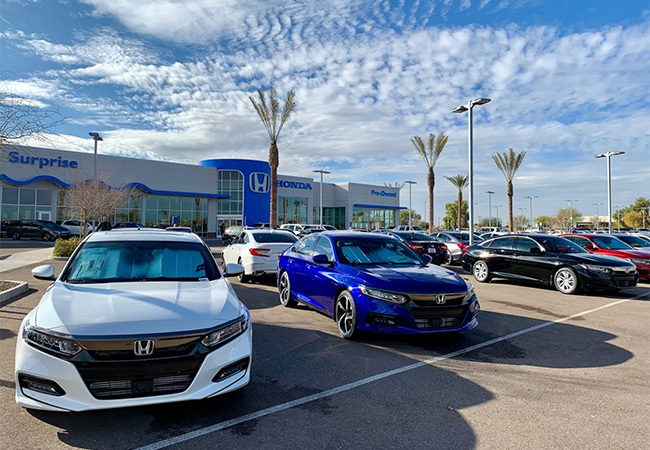 Surprise Honda Service Department is proud to give all Maricopa County area customers a break! 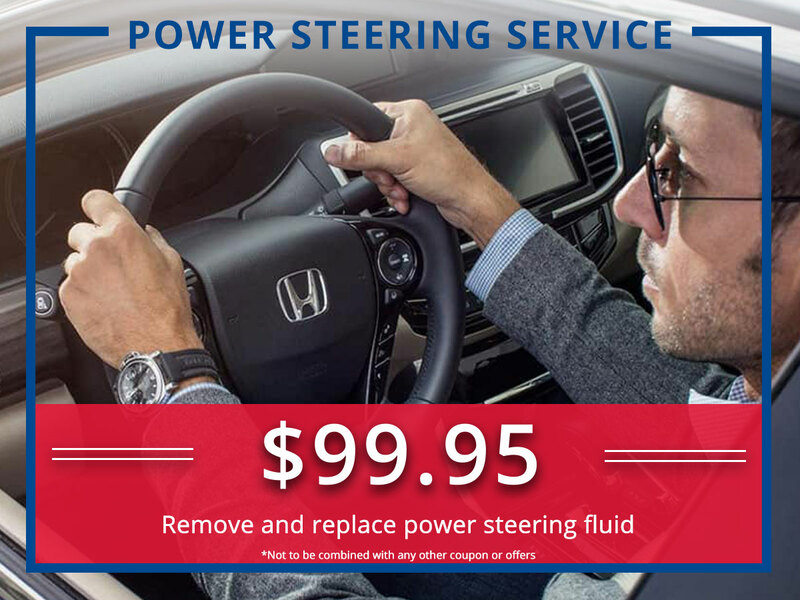 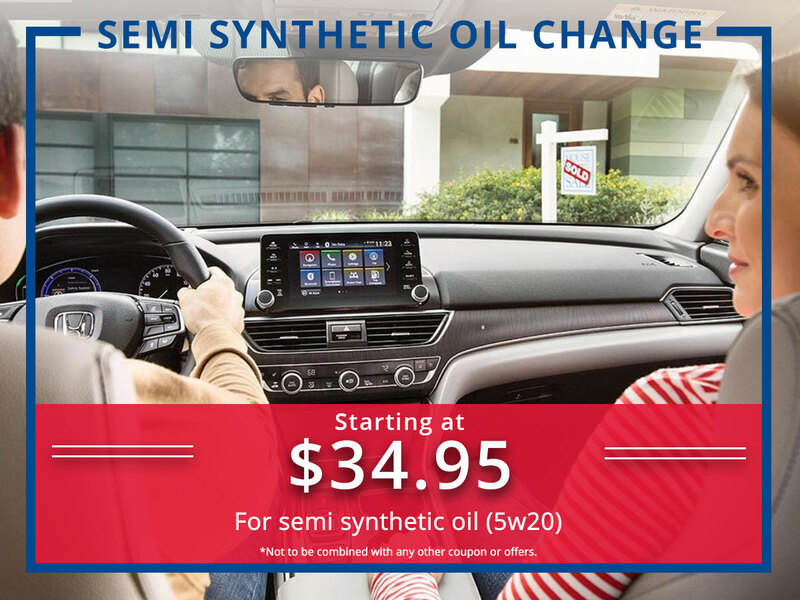 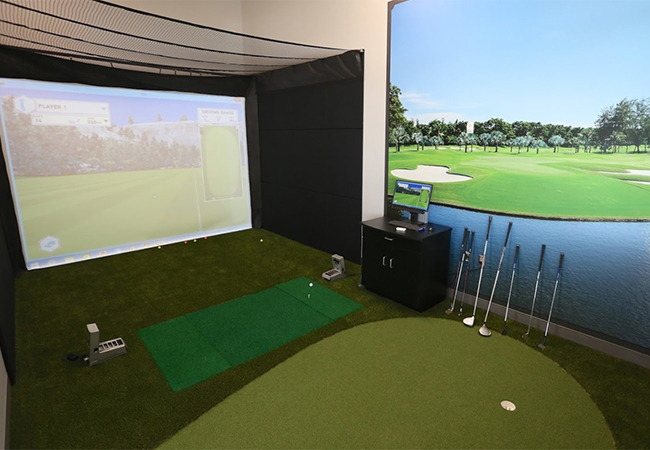 Browse our current service coupons below and schedule service today to take advantage of these great deals. 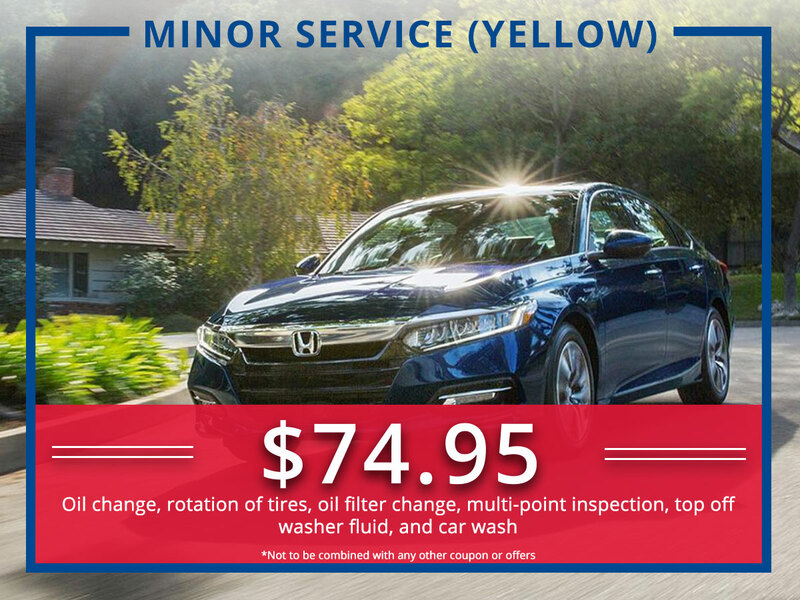 Oil & filter change, tire rotation, multi-point inspection, and more. 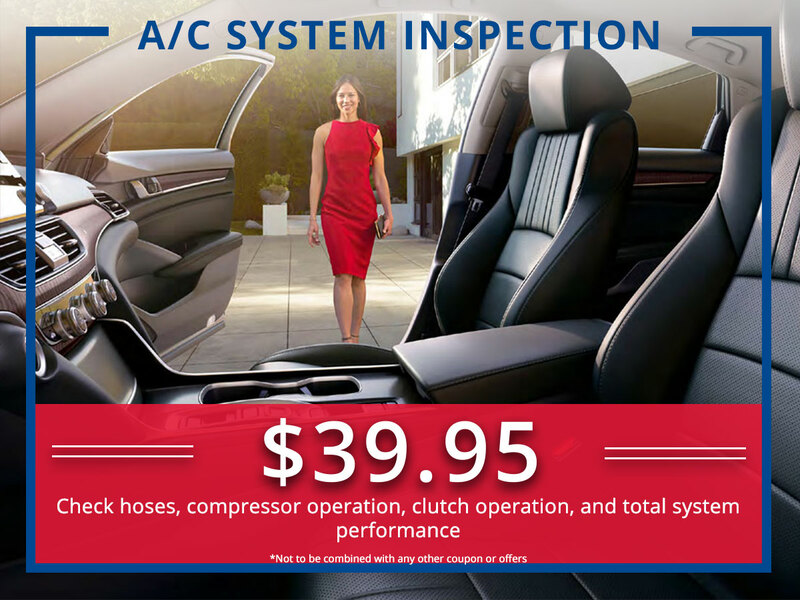 Check hoses, compressor operation, clutch operation, and more. 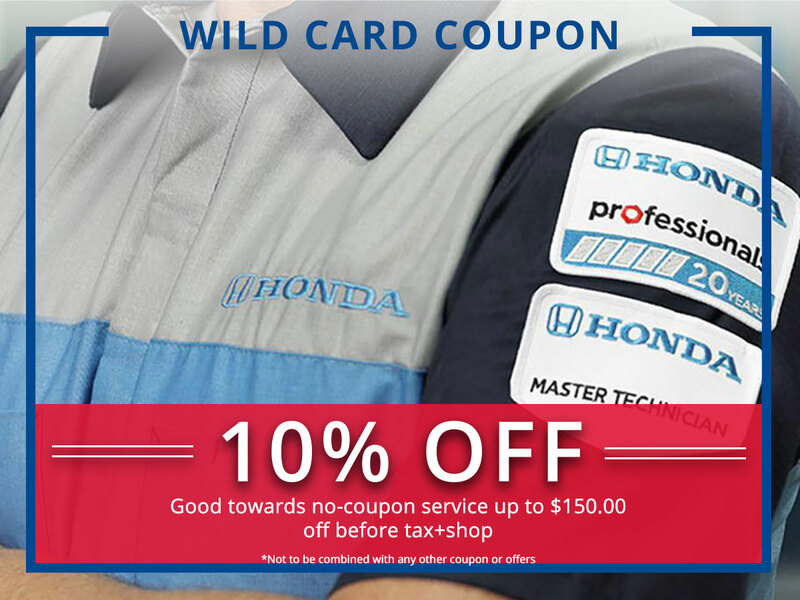 *TAX+SHOPHonda vehicles only, not to be combined with any other coupons or offers, coupon must be presented at time of write up. 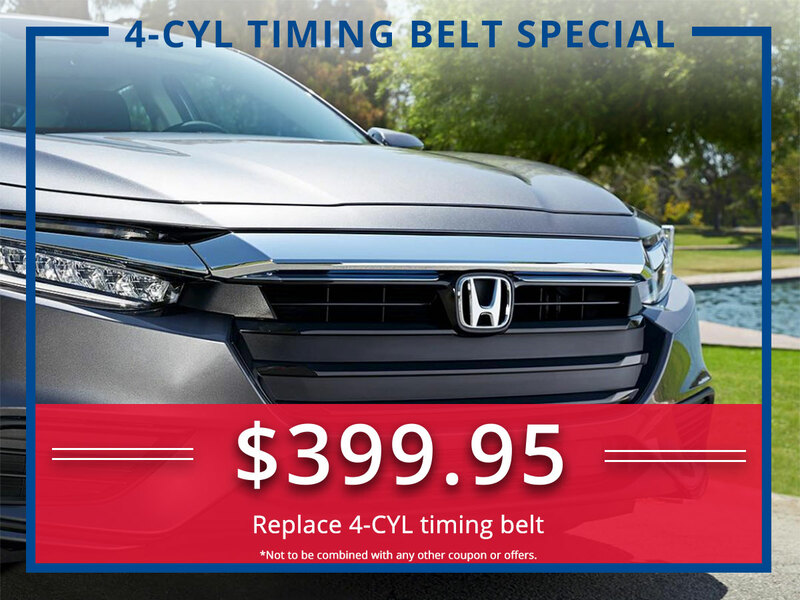 Tax plus shop supplies additional.